In my line of work, we end up seeing people from all over, especially in a city as big as NYC. It’s a tourist attraction, of course, so we get people from all over the world coming to see the sights that New York has to offer. New York City is an experience in itself, and it’s no surprise that people come here to feel a little bit of that atmosphere. On the other hand, being a visitor can have drawbacks and those drawbacks can have painful consequences so that it’s difficult to even enjoy your vacation time. Like take, for example, a person that has to make a long flight from overseas to get to New York. They spend hours cramped in more or less one position on a place. That kind of tension can build up and lead to serious pain in the neck, shoulders, and upper back. And suffering with constant pain or discomfort can definitely turn into an easy way to flush a good vacation down the toilet. And that’s not all either. People traveling from abroad will almost certainly have to pack more than a domestic traveler, especially if your stay is a longer one. Hauling around a heavy bag, bending over to grab things - these are potential problems in the making. Walking the city is the best way to see it, and if you are hurting, pounding the pavement can seem less and less like a good idea. So what if you are in pain - what to do? After all, travel is a time that’s laden with stress and constant motion. Living Well Medical in NYC is here serving New York’s SoHo/NoHo. Get a massage and ease away the stress. Have our chiropractor balance out your lower back. Speak with our osteopath about your problems. We’ve got something for everyone. What’s more, we are open Saturdays, so emergency appointments are available if you need them. We also have relationships with several area hotels; your concierge desk may even give you our name. Give us a call today at 212-645-8151. You have made it very easy for visitors to NYC to see you. What a great service! There is nothing worse than having your vacation ruined due to back pain, yet it happens so often, due to the cramped conditions of airplanes and car. Great that you have this type of top-notch Chiropractic-valet type of service. I shall refer my traveling patients to you. Doc, please send me some business cards. 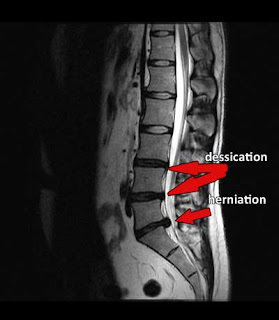 These patients can then continue their spinal decompression protocol without a pause.